Filming is underway at the Fawley Power Station in Hampshire, England on the upcoming untitled young Han Solo A Star Wars Story film. Yesterday, some intriguing pictures from the shoot were posted and today our friends over at MakingStarWars.net have released a video a local resident shot of some action on the set. The video isn't too spoiler-y but if you are trying to avoid all Star Wars spoilers, stop reading now. This is your SPOILER ALERT! 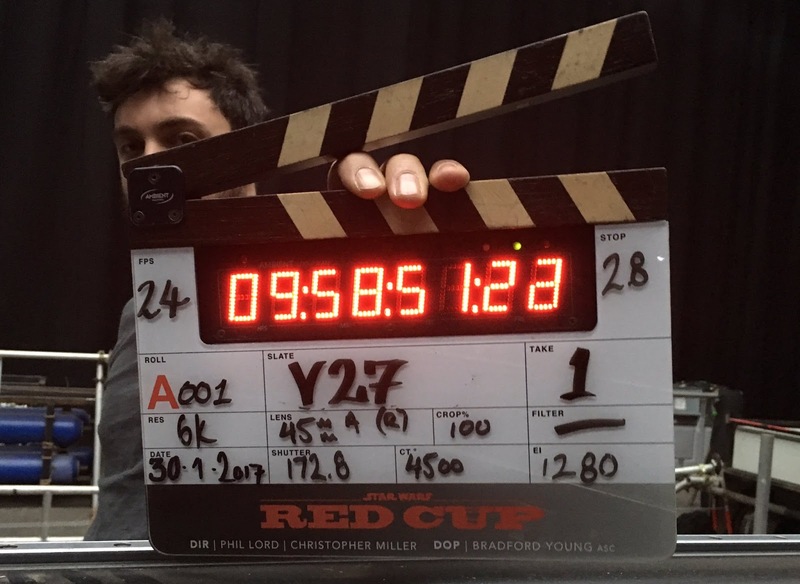 The speeder in the shot, appears to be one of the ones seen in the TMZ leaks last week (which would make sense, given those pictures also featured Alden Ehrenreich in costumer as Han). The untitled young Han Solo film hits theaters on May 25th, 2018 and stars Alden Ehrenreich (Hail Caesar!) as Han Solo, Donald Glover (Atlanta) as Lando Calrissian, Emilia Clarke (Game of Thrones), Woody Harrelson (True Detective) as Beckett, Phoebe Waller-Bridge (Fleabag), Thandie Newton (Westworld), and Michael K. Williams (The Wire). The film is directed by Phil Lord and Chris Miller (The Lego Movie), with a script by Lawrence and Jon Kasdan.